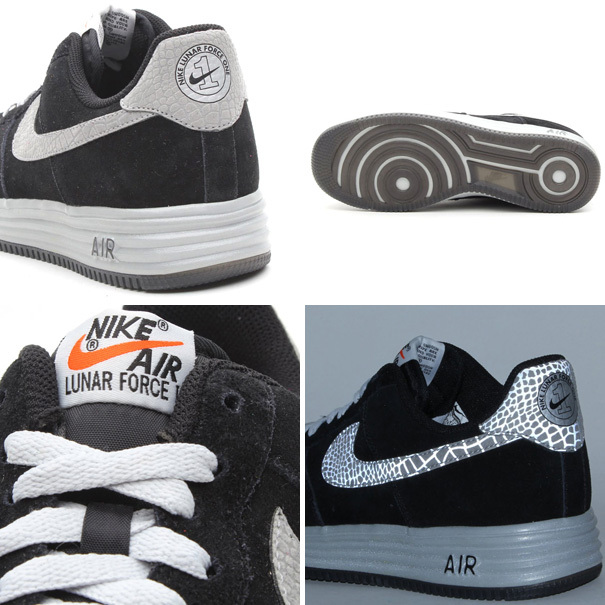 Nike Sportswear continues its upcoming Lunar Force 1 "Reflective" pack with a solid Black / Reflective Silver option. Following the "Dark Sea" colorway previewed earlier this week, Nike Sportswear continues its upcoming Lunar Force 1 "Reflective" pack with a solid Black / Reflective Silver option. 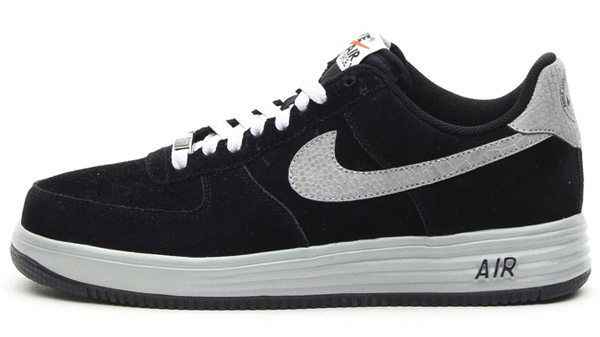 This new Lunar Force 1 features a subtle black suede upper set off by a reflective "croc" skin swoosh and heel tab. A Lunarlon midsole and translucent outsole sit below. 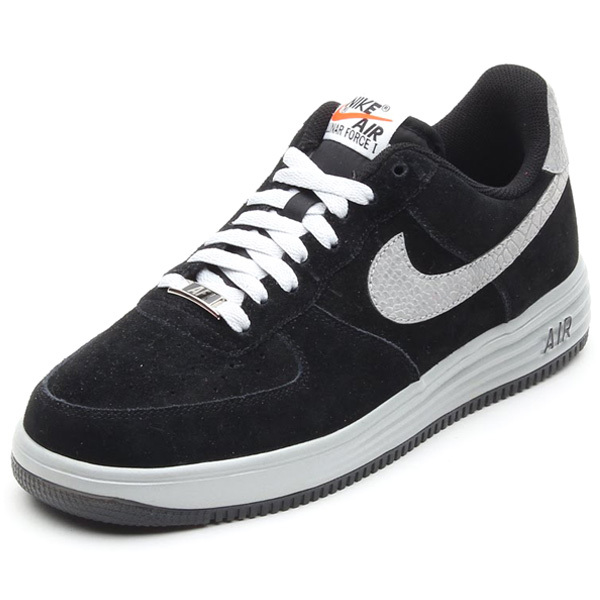 The Nike Lunar Force 1 in Black / Reflective Silver drops in October at select Nike Sportswear accounts, including atmos Tokyo.